Since God is sovereign over all that happens then why should Christians pray? Why pray if God has already predetermined what is going to happen? What is the point of praying then? God is sovereign over the entire universe. Even the king’s heart is in the hands of God and He directs it wherever He wills (Prov 21:1). Even our birth is a sovereign work of God even as “children [are] born not of natural descent, nor of human decision or a husband’s will, but born of God” (John 1:13) and “For just as the Father raises the dead and gives them life, even so the Son gives life to whom he is pleased to give it” (John 5:21). In fact our salvation is fully a work of God as John 6:37 says that “All those the Father gives me will come to me, and whoever comes to me I will never drive away.” Our lives and our salvation are fully God’s will. Ephesians chapter 1 and 2 are powerful Scriptures that reveal God’s effectual calling of those who would be saved as it says, “For he chose us in him before the creation of the world to be holy and blameless in his sight. In love he predestined us for adoption to sonship through Jesus Christ, in accordance with his pleasure” (Eph 1:4-5). How amazing that God predetermined to save us before the earth even existed! Man may think that he is leading his own life, but God actually directs his steps (Prov 16:9, 19:21). Jesus was God and Man and yet He still knew the importance of prayer. The authorities of the world are also ordained by God as Jesus told Pilate, “You would have no power over me if it were not given to you from above“ (John 19:11a). Paul understood that by telling the Roman church “Let everyone be subject to the governing authorities, for there is no authority except that which God has established. The authorities that exist have been established by God” (Rom 13:1). This is why we should pray for those in authority over us, including the president, local officials, police, and those who hold office over us (Rom 13). It’s not a popular thing to pray for the president these days because I hear more Christians bashing him than ever saying that they are praying for him, but we are told to pray for those who God has ordained to be in authority over us. God has not only made plans for our lives, although we still have free will, He has appointed for us to do good works for Him as Paul writes, “For we are God’s handiwork, created in Christ Jesus to do good works, which God prepared in advance for us to do” (Eph 2:10). God has planned good works for us to do, prepared in advance. That’s part of the reason that He created us “for it is God who works in you to will and to act according to his good purpose” (Phil 2:13). God was intentional with us when he planned for us to be born as Paul says, “God, who set me apart from birth and called me by his grace, was pleased” (Gal 1:15). Jeremiah was no exception, as God tells him, “Before I formed you in the womb I knew you, before you were born I set you apart; I appointed you as a prophet to the nations“ (Jer 1:5). The same thing for Isaiah as it is written, “Listen to me, you islands; hear this, you distant nations: Before I was born the LORD called me; from my birth he has made mention of my name” (Isaiah 49:1). The short answer to this is because Jesus told us to pray. He does not hope we will pray, nor asks that we pray, but it’s an imperative command that we’re given to pray. Paul also commands that we pray. In what is called the Lord’s Prayer, which is really the model or arch-type for the disciples and believers to pray like, Jesus says “pray in this manner” (Matt 6:9). Again, Jesus tells believers, “that they should always pray and not give up“ (Luke 18:1). Paul also tells us that we should “pray in the Spirit on all occasions with all kinds of prayers and requests” (Eph 6:18). He does not say, please pray, I hope you’ll pray, but “pray without ceasing” (1 Thes 5:17). Jesus prayed very often, Paul prayed frequently, and so we too should pray, but if God is sovereign then why? Again, we are commanded to pray. There is still that nagging question: Why pray when God has everything planned in advance? Why pray when God is sovereign? Because our prayers are talking to God. Who has a friend who they never, ever talk too? Praying is talking to God and how can God know the desires and your petitions of your heart unless you tell Him. Yes, He already knows what you need, but He still wants you to speak with Him. Prayers do not change God’s mind so much as they change our mind. We begin to pray for God’s will to be done and then God’s will becomes our will and our prayers match it. Prayers for the lost, prayers for those in our church, prayers for those in need, prayers for family, friends, co-workers, and the many who will perish unless they know Christ. Prayers are vital for us and those of our church and for the many who do not know Jesus Christ yet. Why else would James say that we are to “confess your sins to each other and pray for each other so that you may be healed?” and “The prayer of a righteous man is powerful and effective” (James 6:16). God “listens to the godly man who does his will” (John 9:31). Simon the sorcerer must have believed in prayer for he begged Peter to “Pray to the Lord for me so that nothing you have said may happen to me” (Acts 9:24). One elderly mother told the story that she had prayed for her son for 28 years until he finally came to saving faith in Jesus Christ…in prison! I know what it’s like to be set free in prison. Jesus was God and Man and yet He still knew the importance of prayer. He understood what was going to happen but He still prayed frequently in the gospels. In typical fashion, “Jesus went out to a mountainside to pray, and spent the night praying to God” (Luke 6:12) and “Jesus often withdrew to lonely places and prayed” (Luke 5:16). Jesus said “And when you pray, do not be like the hypocrites, for they love to pray standing in the synagogues and on the street corners to be seen by men. I tell you the truth, they have received their reward in full. But when you pray, go into your room, close the door and pray to your Father, who is unseen. Then your Father, who sees what is done in secret, will reward you” (Matt 6:5-6). It is an awesome privilege to have someone pray for you. I pray regularly for the readers of this website and for the staff of writers and technical support personnel, and many who contact us here, but if you wanted someone to pray for you, how about Jesus! That’s the prayer request list I want on! The fact is that Jesus does pray for those in the Body of Christ, the church. In John 17 Jesus prayed to God the Father and said, “I am praying for them. I am not praying for the world but for those whom you have given me, for they are yours“(v 9). “I do not ask for these only, but also for those who will believe in me through their word” (v 20). “I made known to them your name, and I will continue to make it known, that the love with which you have loved me may be in them, and I in them” (v 26). What an awesome thing to have the Son of God praying for you “For Christ did not enter a man-made sanctuary that was only a copy of the true one; he entered heaven itself, now to appear for us in God’s presence” (Heb 9:24). God intercedes today in God the Father’s presence for us, on our behalf! How awesome is our God! If Christ saw fit to pray, and understood God was sovereign over all things and in all ages, why can we not see the importance of it, regardless of the fact that God is sovereign? How can we not pray for one another? We have literally dozens of present-indicative, imperative commands to pray from Jesus, Paul, and Peter. That means not only to pray but keep on praying…always, and without ceasing. In the Old Testament, David was a man of prayer, so was Daniel, Elijah, and several others. Try to set aside at least a few minutes every morning, before you do anything, and pray to God. Try to pray while you are working during the day. And I recommend praying before you go to bed. When you are praying, just think that you are talking directly to God but in reverence and respect, honoring and hallowing the name of God. When I write down prayer requests from my friends and from our readers on this site and tell them that I will pray for them, but if I don’t, it is sin to me, for even Samuel said, “As for me, far be it from me that I should sin against the LORD by failing to pray for you. And I will teach you the way that is good and right” (1 Sam 12:23). This is my pray that I would not fail to pray for you.. Would you also pray for us? What a wonderful, informative article on what seems to be a complicated question. Why should we pray, when God has already planned out the course of our lives in advance? “I’m not clear on what God’s plan is for me.” It’s a question most Christians ask. Our pastor did a sermon once where he said to us, that God’s general plan for all believers is the same. Love one another; spread the gospel; repent from sin, etc. So, generally we all share the same plan for our lives. However, everyone’s life is actually lived in the details of their existence. It is these details, that I believe we are to pray for and about; and these details change the course of our lives. It is my belief that, today anyway, that God’s plan for me can be represented by a kind of a flow chart scenario. If Barry does this, then he goes this direction until he hits the next decision point, or prayer point, and then he will move in that direction until the next point, etc. All of the eventual outcomes of this flow chart end up at the same place according to God’s general plan. All of the detail things that I need to accomplish, things I pray about, things I want or don’t want to happen are incorporated into this flow chart as well. To me this kind of explains how God sovereignty can co-exist with the need to pray. I believe that my prayers change the course of my life as well as those I pray for and I can rest assured that God’s plan for me under His control. Thank you so kindly Barry. Your pastor is right. God will never reveal any special or hidden will of His until we obey the revealed will, i.e. Romans 12. Yes, prayers do change things…I believe they change us more than God’s mind because we learn to pray in God’s will and His will can become our will. I think that people who try to pass on things because God is sovereign are lazy. The Father made Jesus die on the Cross, that is an example of His complete Sovereignty, for even the Son only fulfills the will of The Father. I have however seen the dramatic effects of prayer. Even when I felt forsaken as if God just forgot about me, I still had my prayers answered. It didn’t dawn on me until later what The Father was doing and planning, but now I understand why He did what I did. In short, I have both seen His absolute sovereign will mold my life, and I have seen Him step in to help me when I asked. Amen Steven. This is so good. I love how you have ascribed the death of Jesus on the Cross to the will of the Father (Isaiah 53) and yes sir, Jesus came to fulfill the will of the Father. Great point friend. Thank you. I couldnt pass this comment by without replying to it. You state that “the Father MADE Jesus die on the Cross” Love has to be a choice. Jesus fulfilled the will of the Father however he CHOSE to die on the Cross for you and me. In ALL of Isaiah 53, we see the clearest example of Jesus the Suffering Savior taking the guilt of his people on himself. And perhaps one of the most amazing things about this is that it was his Father’s will for it to be so! The Lord himself ordained and willed that his precious Son would die at the hands of wicked men, so as to fulfill His plan for salvation! The Lord’s will was to crush Jesus and cause him to suffer. Let that statement sit with you for a moment. What an absolutely profound thing that is! Why is this so? What could be the reason that God would will such a thing? It is because in so doing, God the Father makes his (Jesus’) life “an offering for sin.” In other words, Jesus was to be the “scapegoat” for the sins of his people. In theological terms, this is called Penal Substitutionary Atonement. Perhaps the most graphic and prominent portrayal of this concept of Penal Substitution is in Isaiah 53:5-6, “But he was pierced for our transgressions, he was crushed for our iniquities; the punishment that brought us peace was upon him, and by his wounds we are healed. We all, like sheep, have gone astray, each of us has turned to his own way; and the LORD has laid on him the iniquity of us all” (emphasis mine). These verses could not be more evident about the fact that the Messiah’s role would be one of bearing the punishment that others deserve! Thus we can see that God the Father send his Son Jesus here to earth to die. It was always a part of His redemptive plan, and it most clearly shows us that God loves us. 1 John 4:9-10 says, “This is how God showed his love among us: He sent his one and only Son into the world that we might live through him.This is love: not that we loved God, but that he loved us and sent his Son as an atoning sacrifice for our sins. Dear friends, since God so loved us, we also ought to love one another. Does this help clear it up sir? Nothing happens outside of the will of God the Father and that included Jesus’ death. I love what it was He prayed for in John 17…that we would have unity! His prayer reveals how challenging it is for us to be unified…so much so that Jesus sought the father on our behalf specifically for this. I touch on this in my blog on teachingdaddy.com. My kids revealed an amazing truth to me. Love this post Andrew. I know that at times it feels that I have learned more from my children and grandchildren than I have taught them. I’ll have to check out your blog. Wonderful job Jack. God is sovereign always and being connected to Him in prayer is being loyal and obedient to His sovereignty. I can’t tell you how many times that prayer has done miraculous things in my life. One of the best examples is my beautiful daughter. I prayed and pleaded for 2 1/2 years before she was conceived. I am living proof of John 1:13. God’s timing is always perfect. Thank you Derek. I love your example for truly nothing like children are an accident and as for living proof of John 1:13, excellent. I believe that God’s sovereignty brought you here to us…to this site and your fellow sisters and brothers in Christ. And I thank God for you Derek. Hello Jack, this has nothing to do with the article but I really want an answer to this question. Is Jesus God? Because I have read that Jesus was God. Thank you Sam. This belief by many is an anti-Christ belief that Jesus is not God. 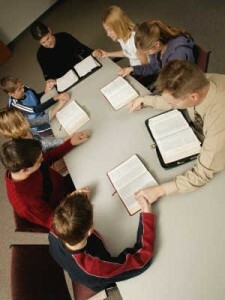 Many, many Scriptures testify to Jesus as God. Jesus was God is not enough for if He WAS God He still IS God for a God can not ever cease being God. Is this enough for there are literally dozens and dozens of such Scripture that are proof-text. Thank you, I was raised in a Christian family but they didn’t talk about religion a lot so I wanted to know more about it because I didn’t understand it. This site has renewed my faith. Good Work Sir, i read only one sentence from this article, JESUS WAS GOD AND MAN STILL HE KNEW THE IMPORTANCE OF PRAYER, this is enough to explain the all powerful value of prayer, praise be to God. The greatest prayer and miracle ever performed by Jesus was, “Father forgive them, for they know not what they are doing”, Let us take this as an example to learn to love our enemies and increase the strength of our prayer such that even at great difficulties we will have the ultimate faith that our prayer will be answered, Amen. Thank you so much sir for your kind words. I love the statement you made to pray for our enemies and that our prayers increase in strength and veracity as our trials increase. Amen to that Henry. I believe GOD is sovereign, but in the light.Note there is no darkness in HIM and HE is the father of light.We know there are those who are in darkness.I believe we have willpower or power of choose,that is one of the reason our GOD is love.The willpower can only be influence by GOD or the devil, i think that is one of the reason why we are not robot. He which we submit to becomes our master,if not ,we should not blame the sinner,homosexual,killer e.t c. probably GOD has predestined them like that.But i believe it is their choose.Life is all about choose.We are predestined in christ unto life,and when we submit to his words in full at right times GODS plans is fullfill in our lives.I believe prayer help us also to know HIS will apart from the bible and recieve strenght to do them . Prayer also help us to escape some temptation(matthew 26:41).Open to correction if i am wrong. I had a few questions. I was just wondering going really off topic but i am practicing the Christian life and learning a lot of things about it. I have learned that there are people in the music industry called the illuminati and they are people who sell there soul to the devil for fame and money. I was wondering how you would know what music artist is an illuminati and who’s not? Would that be a bad thing if i listened to a song with clean lyrics but that artist sold there sould to the devil??? I need help on what i can listen to and can’t! Also i was wondering if Christians are aloud to wear a cross necklace????? I see nothing wrong with wearing a cross. Today’s equivalent would be like wearing an electric chair or a syringe with a lethal injection for the cross at the time of Christ was symbol of death, shame, and a curse. As for listening to lyrics that are not evil, even if a person “had sold their soul to the Devil”, it is not wrong to listen to lyrics of a person not saved, but only if the lyrics don’t glorify sin. I am not sure a person can sell their soul to the Devil. There is nothing in the Bible that says that is even possible. What would the Devil do with a human soul? He too is damned to judgment even as those who have rejected Christ as Lord and Savior. Ephesians chapter 1 and 2 are powerful Scriptures that reveal God’s effectual calling of those who would be saved as it says, “For he chose us in him before the creation of the world to be holy and blameless in his sight. In love he predestined us for adoption to sonship through Jesus Christ, in accordance with his pleasure” (Eph 1:4-5). How amazing that God predetermined to save us before the earth even existed! Man may think that he is leading his own life, but God actually directs his steps (Prov 16:9, 19:21). How can you make a statement like that and then say prayer changes things?? Our lives are all planned out an we are the tool that God uses to carry out His sovereignty. Man can do nothing to change the mind of God! Hello my friend. Jesus commanded us to pray…always, so why would He if He knew it wouldn’t do anything? Prayer doesn’t change God but prayer moves the hand of God to change things…including us! Man cannot change God but man can move God to change things thru prayer. Why else would we ever pray? Yes, our lives our planned out but part of God’s plan is to have us pray!